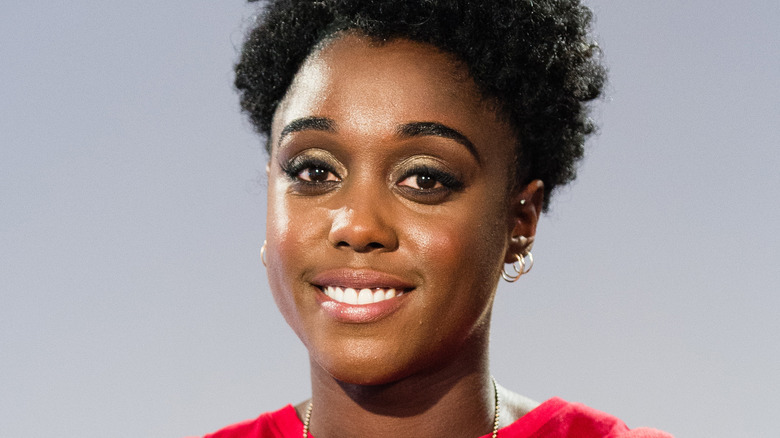 Lashana Lynch is joining Captain Marvel. According to The Hollywood Reporter, the Brotherhood and Still Star-Crossed actress is set to replace DeWanda Wise in the upcoming superhero flick after Wise left the part due to scheduling conflicts with her Netflix series She's Gotta Have It. There are no details on who Lynch will play in the film, which will star Brie Larson as the titular character. The movie will be an origin story set in the 1990s, following Larson's Carol Danvers, an Air Force pilot whose DNA is fused with an alien's after an accident. Joining Larson in the film is Samuel L. Jackson, reprising his MCU role as Nick Fury, and Jude Law as Mar-Vell/Walter Lawson, the original Captain Marvel whose DNA gives Carol her powers. Although little is known about the specific plot of Captain Marvel, Marvel Studios head Kevin Feige has said that the character will be a big addition to the MCU. "All of the Marvel characters have flaws to them [and] all of them have a deep humanity to them," Feige said. "With Captain Marvel, she is as powerful a character as we've ever put in a movie. Her powers are off the charts, and when she's introduced, she will be by far the strongest character we've ever had. It's important, then, to counterbalance that with someone who feels real. She needs to have a humanity to tap into, and Brie [Larson] can do that." Tomb Raider's Geneva Robertswon-Dworet is currently working on the script for the film, which was previously drafted by Inside Out's Meg LeFauve and Guardians of the Galaxy's Nicole Perlman. The movie, which also stars Ben Mendelsohn and Gemma Chan, is set to be directed by Mississippi Grind duo Anna Boden and Ryan Fleck.